Do you think the History of Thanksgiving Day matters to people anymore? Is the current meaning of a holiday celebration or Family tradition important more than it’s roots? With all the new Electronics, I see division in families across the world. Lack of communication. How will our Youth survive without the knowledge of simple things, family dinners, game time, outdoors? Communication is the utmost important thing for each individual to learn. How is this happening that our Youth is turning to devices to communicate instead of face to face…how will they handle emotions, job interviews, family problems? Do you think it will matter to them the Family time…doing simple things learning to love each other? We should all take a step back and remember to be thankful for the each other and to reach out and show love. National Hot Dog Day is an informal holiday in the United States celebrated on July 23. It was established by National Hot Dog and Sausage Council. 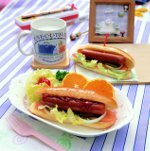 Hot Dog Day celebrates hot dogs as one of the staples of American cuisine. A hot dog is a cooked sausage served in a sliced bun, typically with garnishes and condiments. Sausages (also known as frankfurters) were brought to the United States by German immigrants in the 19th century. Over the years, hot dogs have become one of the most popular street foods in the USA. The National Hot Dog and Sausage Council was established in 1994 by the American Meat Institute, the largest and oldest trade association that represents the U.S. meat and poultry industry. The Council is dedicated to providing consumers and media with information concerning nutrition, preparation, safety and quality of sausages and hot dogs as iconic American foods. The Council designated July 23 as National Hot Dog Day and July as National Hot Dog Month. 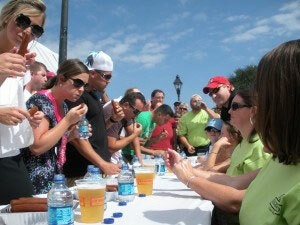 It organizes and sponsors numerous events held across the United States. The proceedings from the events are often given to charity. To celebrate National Hold Dog Day, invite your friends over for a cookout and enjoy delicious hot dogs with your favorite condiments and garnishes. Roger Wood Foods continues to be proactive to improve the environment by recently purchasing this unit for enhanced treatment and cleaning of its facilities wastewaters. This unit is called a Lamella Carlifier and is manufactured by Parkson Inc. and has been reconditioned by Metchem Inc. It’s purpose is to remove/separate organic solids from the wastewater allowing cleaner pre-treated waters to be discharged into the City’s system for continued treatment. The Lamella Clarifier and system is the 2nd of a 3 phase plan to improve Roger Woods Overall pre-treatments system keeping up with ever more stringent environmental regulations. While these systems remain costly, Roger Wood Foods is commited to being a respected steward of the Environment, as well as producing outstanding Food and Meat products. 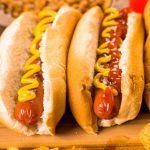 It’s Summer Time and Hot Dog Time…..
Memorial Day marked the beginning of what in the hot dog industry is called Peak Season! Beginning Memorial Day weekend and running through the Labor Day weekend we Americans will eat an estimated 7 billion hot dogs. That averages out to 818 dogs eaten every second! Wow!!! In Five weeks, on Independence Day, July Fourth, we will eat about 150 Million hot dogs alone. That is enough to stretch from Washington, D.C. to Los Angeles a little more than five times. At Major league baseball parks in 2015 almost 20 Million hot dogs were sold and millions more were sold at minor league parks and will be again this season. Please be sure to check out our many Products from Sausage, To Bun Masters, Great Grillers, Hot N Spicy and Texas Pete Beef and many more. 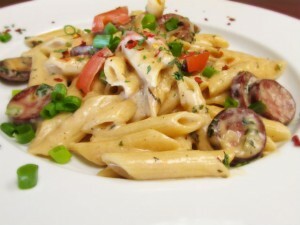 Like us on Facebook at Rogerwoodfoods.com and help us be a part of this History! Thank you ! 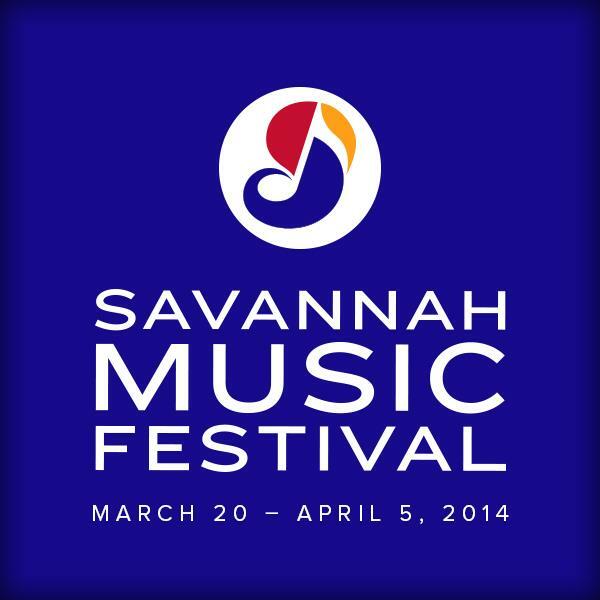 We are proud sponsors of the Savannah Music Festival! The Savannah Music Festival is one of Savannah’s best annual events. It is truly an unique experience that you must participate in! 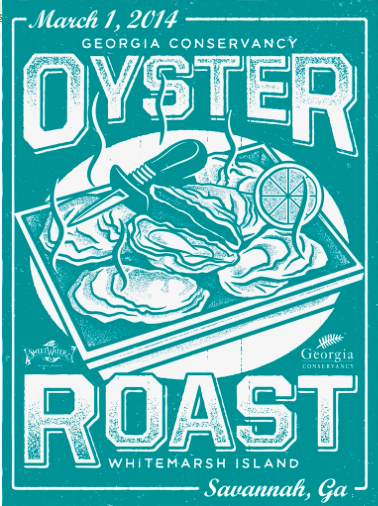 We’re are excited and proud to be a sponsor of the Georgia Conservancy’s Oyster Roast this year! Y’all come out for some fun and to support the protection of Georgia’s natural resources! This truly looks like a beautiful dish that took hours to create. Not so my friend. When you merry all the spices and cream sauce with the crispy, cajun Andouille sausage, it’s plain heavenly. Try it for your next meal made to impress and let us know what you think!